Boston based Worship Group Ashmont Hill announced via social media the release of a video supporting Love Lifted Me, their new single. The v ideo will be released via their youtube channel on Tuesday, January 8th. 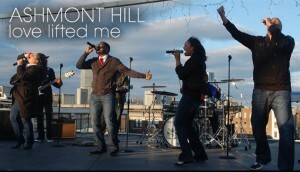 Love Lifted Me is available for digital download via Amazon.com and iTunes. This entry was posted on Monday, January 7th, 2013 at 3:26 pm	and is filed under Artist News and Updates. You can follow any responses to this entry through the RSS 2.0 feed. You can leave a response, or trackback from your own site.